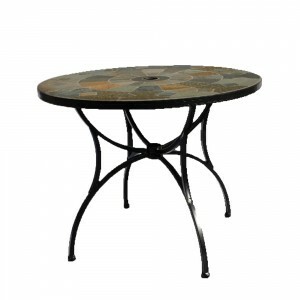 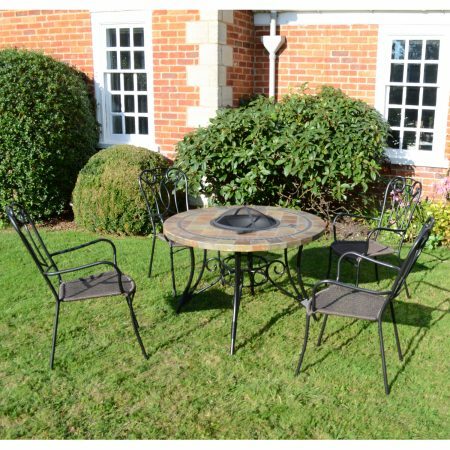 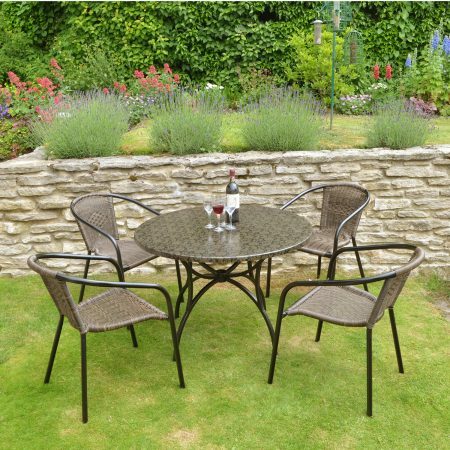 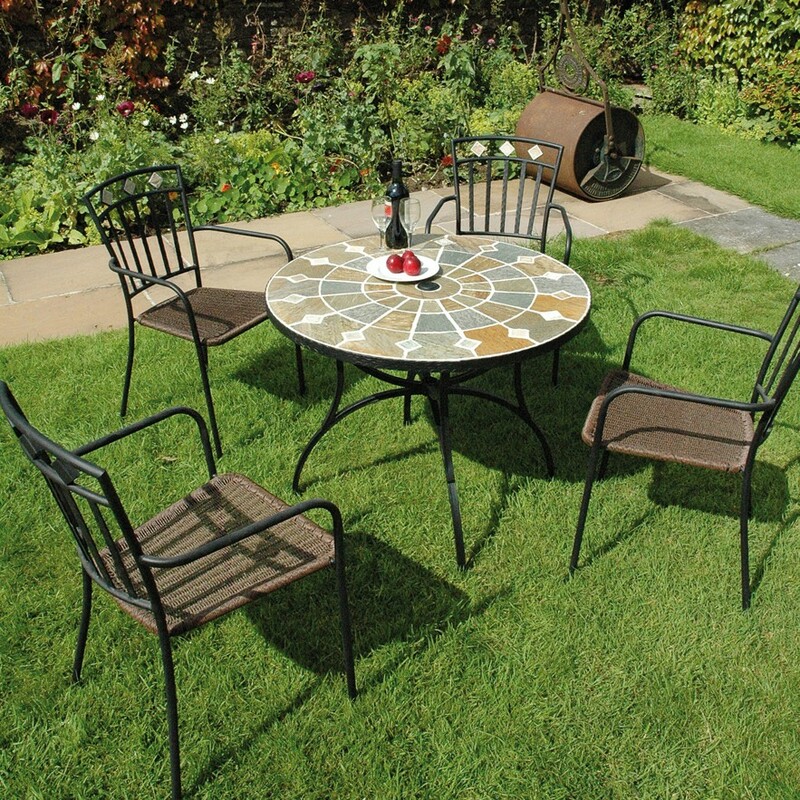 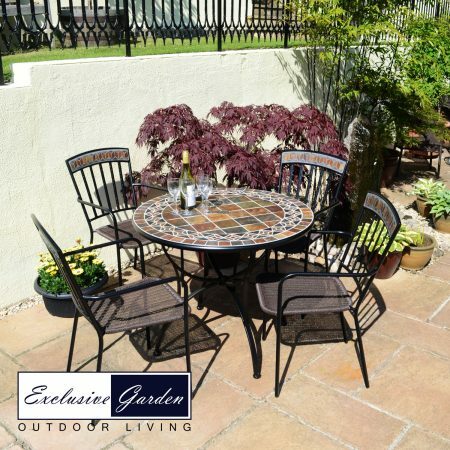 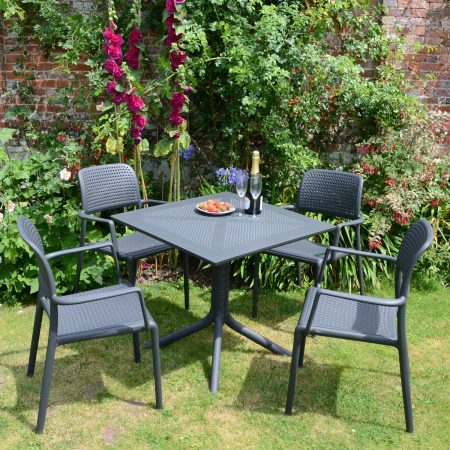 This hugely popular 91cm table has a natural stone finish making no two tables alike; the framework on the table is e-plated steel finished in black as is the embossed table rim. 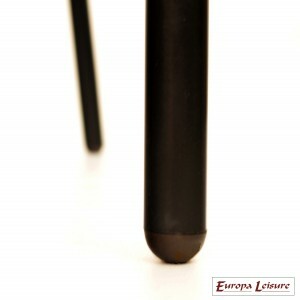 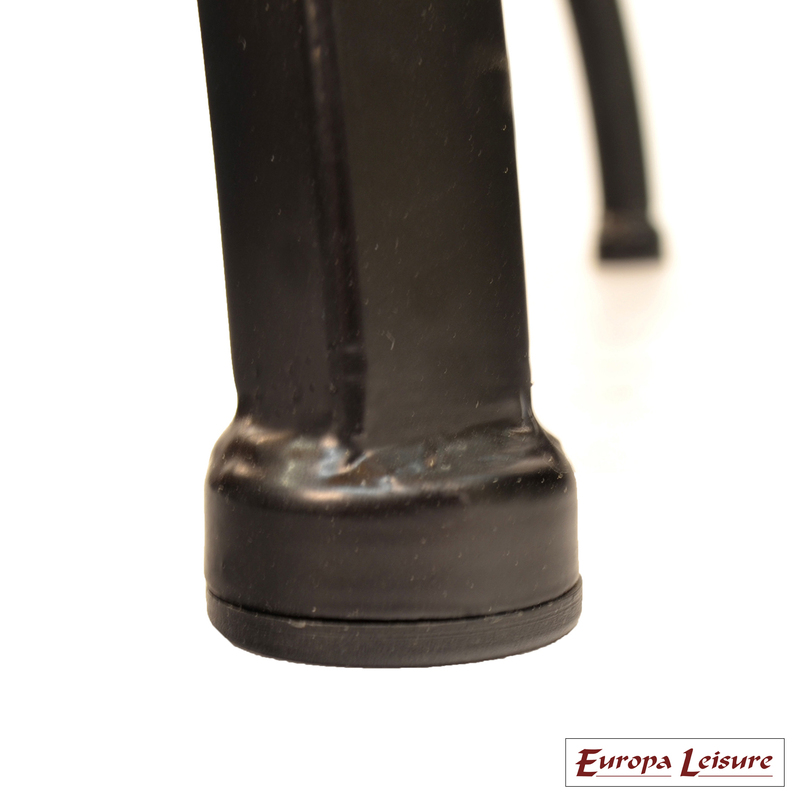 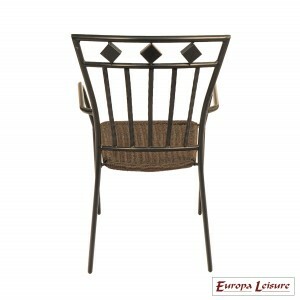 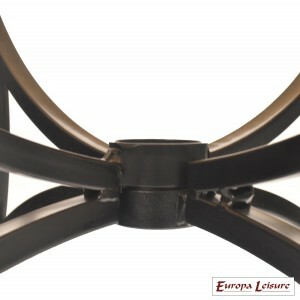 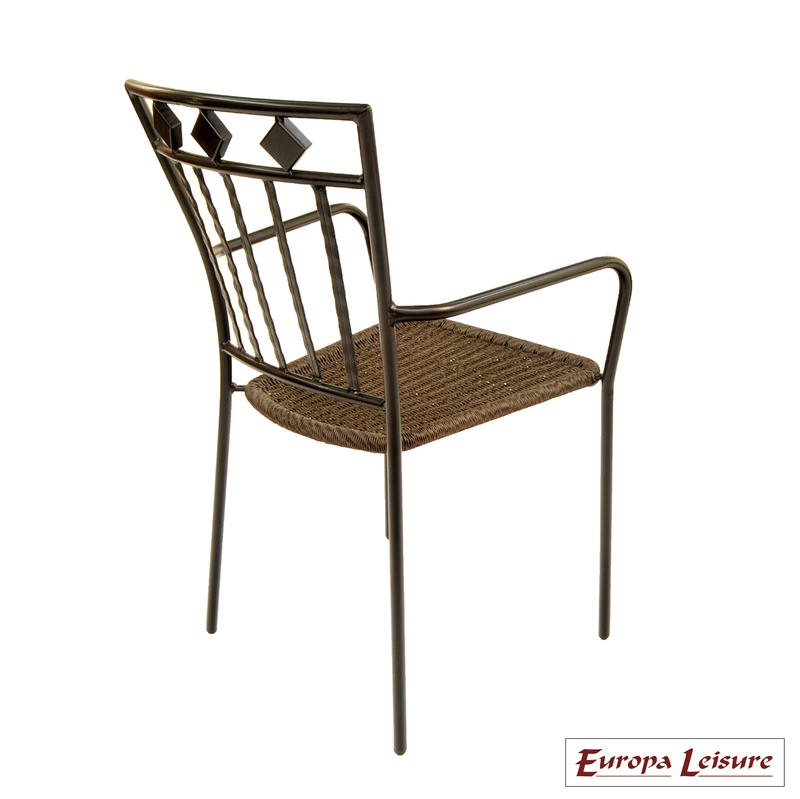 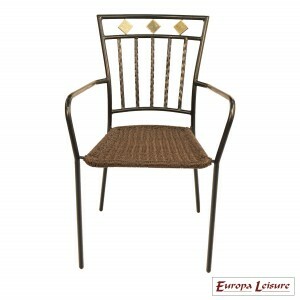 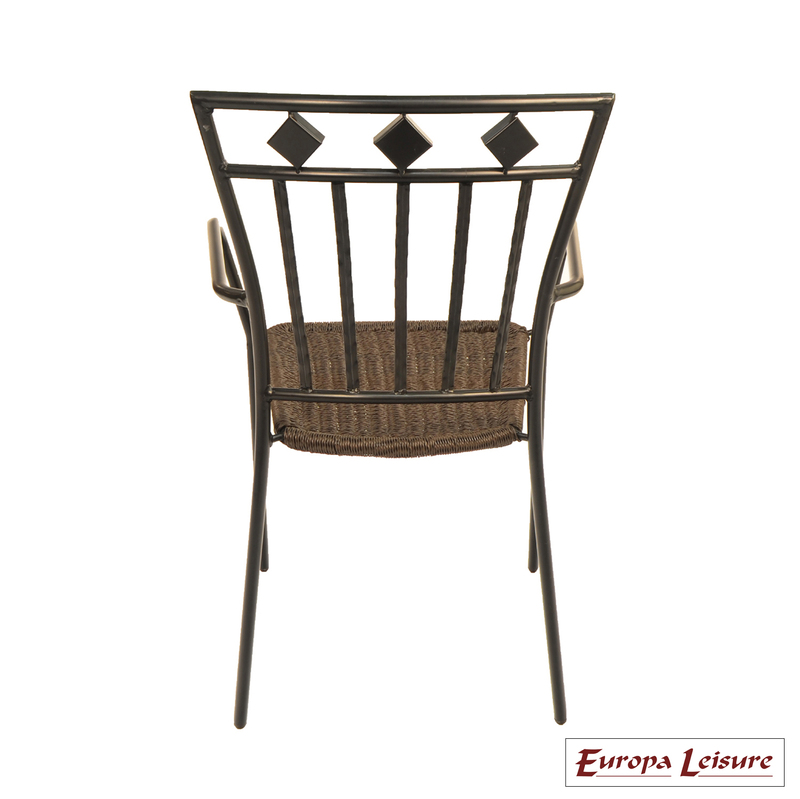 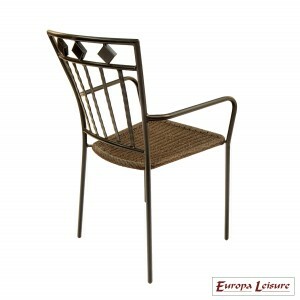 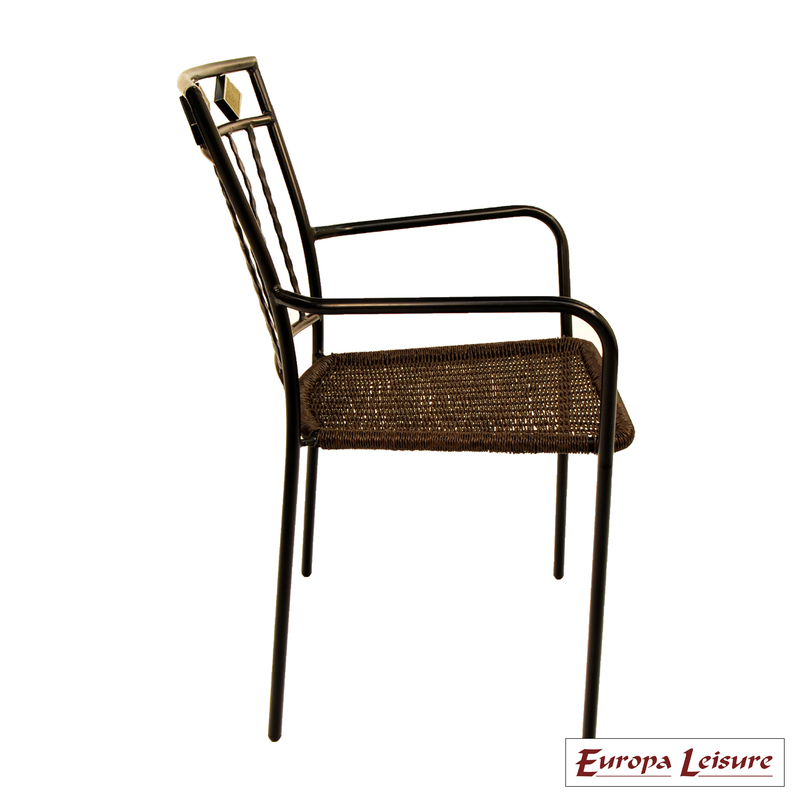 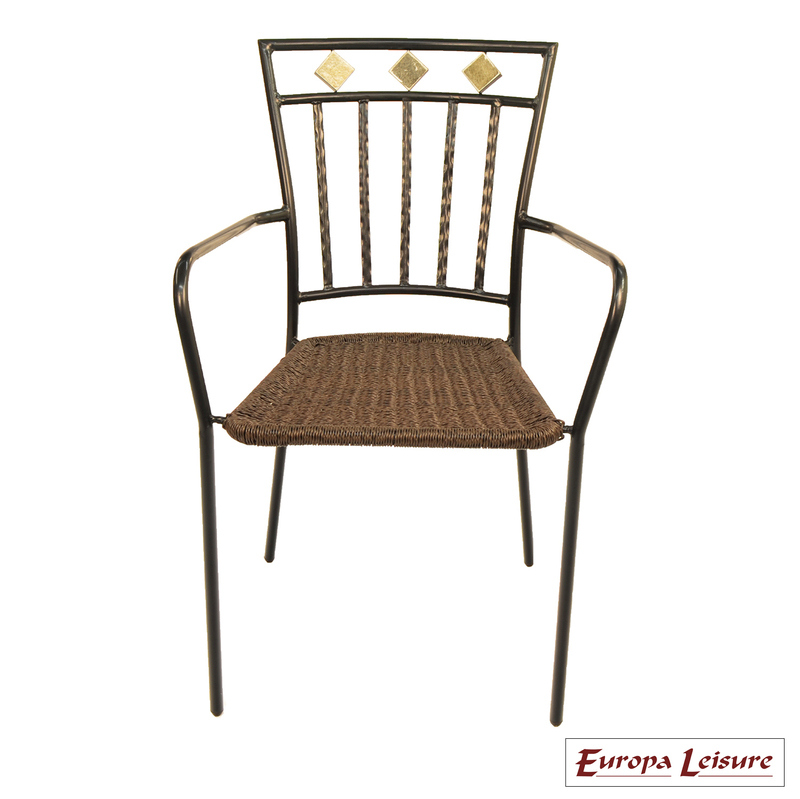 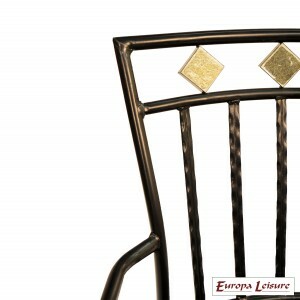 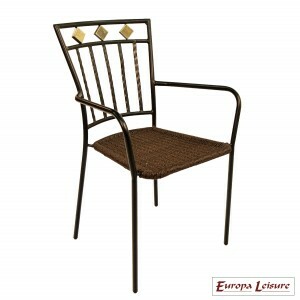 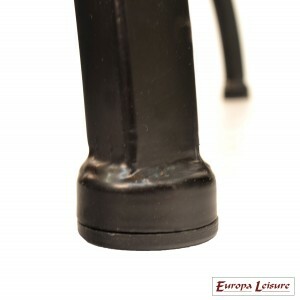 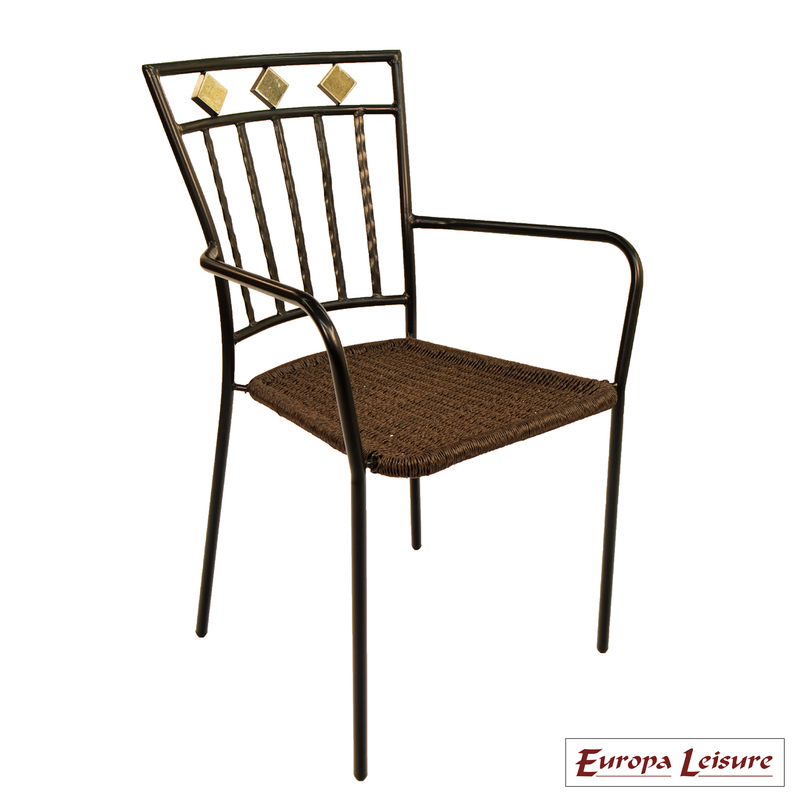 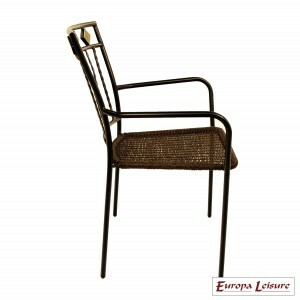 The Murcia stacking armchair is made of tubular e-plated steel and finished in black with a weather wise wicker seat. 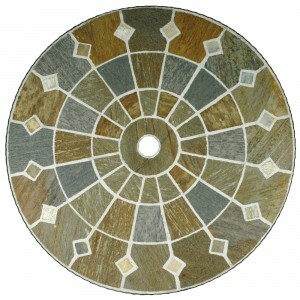 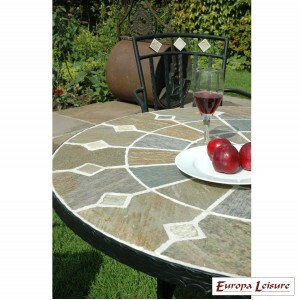 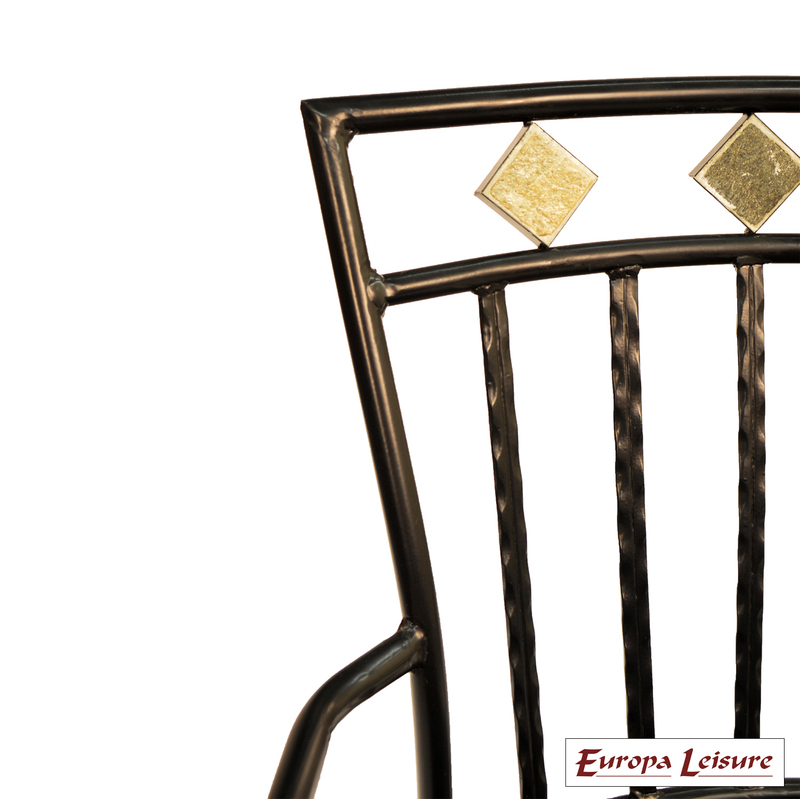 The Murcia chair back rest incorporated 3 diamonds in natural stone to match the table top.